PLEASE NOTE: On August 24, 2012, the federal government issued revised regulations concerning the reporting and managing of financial conflicts of interest for individuals working on, or proposing to work on, grants funded by the U.S. Public Health Service. The PHS includes National Institutes of Health (NIH), Centers for Disease Control and Prevention (CDC), Food and Drug Administration (FDA), and other agencies. The college is currently revising it Financial Disclosure policy to meet the requirements of the new regulations. In the meantime, we are providing interim guidance and instruction to investigators working on PHS grants to ensure compliance:Compliance with new federal financial disclosure regulations. If you have questions about these new requirements, please contact John McLain , Academic Grants Manager, at (360) 867-6045. The Evergreen State College encourages participation in externally-funded projects to carry out its educational, research, and community service mission. Participation in projects and activities funded by grants and contracts is important to the free exchange and development of new ideas, information, materials, and technologies which benefit the College, the community, and the public at large. In these activities, the College endeavors to maintain the highest standards of integrity and ethics. This includes the identification and management of actual and potential conflicts of interest that could bias the design, conduct, or reporting of results of such projects. This policy is designed to address the needs of the College in identifying and managing financial conflicts of interest in grant programs, as required by federal and state laws. These laws include the Washington State Ethics in Public Service Act (RCW 42.52) and applicable rules and regulations of the U.S. Department of Health and Human Services and the U.S. National Science Foundation. 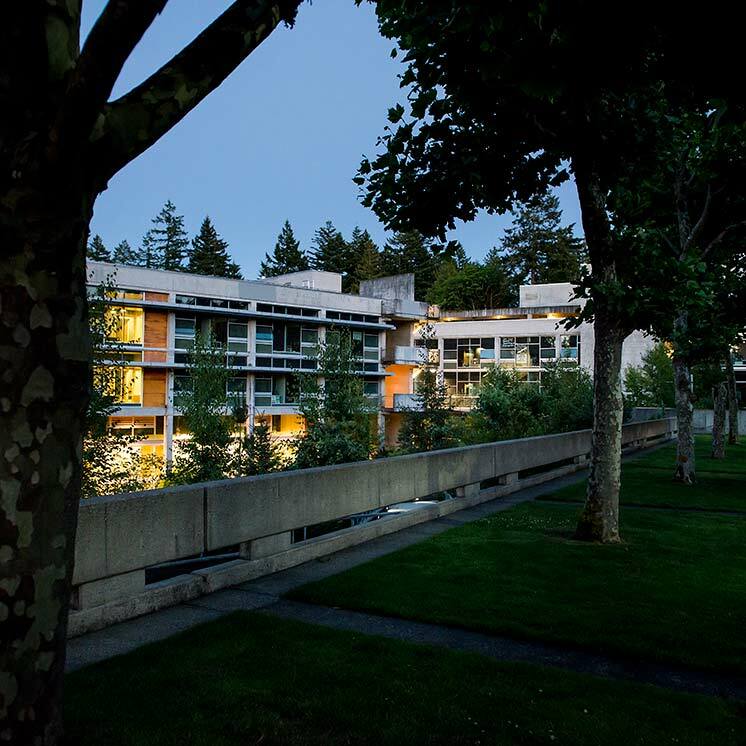 It is the policy of The Evergreen State College that any employee responsible for the design, conduct, or reporting of federally-funded grant projects under the auspices of the College must disclose significant financial interest related to that project. When the College determines that such an interest might reasonably appear to directly and significantly affect a project, the College will take steps to either manage or eliminate the conflict of interest in accordance with a conflict of interest resolution plan developed by the affected principal investigator(s), the vice president of the division submitting the grant, and the College Ethics Officer. Evergreen faculty members, staff members, contractors, consultants and other persons at the College who are responsible for the design, conduct or reporting of research or educational activities proposed for or financed by federal grant funding. Salaries, royalties or other payments that when aggregated for the investigator, the investigator's spouse and dependent children over the next twelve months are not expected to exceed $10,000. A "potential conflict of interest" occurs when there is a divergence between an individual's private interests and his or her professional obligations to the College such that an independent observer might reasonably question whether the individual's professional actions or decisions are determined by considerations of personal gain, financial or otherwise. An "actual conflict of interest" depends on the situation and not on the character or actions of the individual. For purposes of this policy, a conflict of interest exists when the College, through procedures described in this policy, reasonably determines that a significant financial or personal interest could directly and significantly affect the design, conduct or reporting of the educational, research, and/or service activities that are funded or proposed for funding. The College’s “Ethics Officer” is the Internal Auditor. Investigators must disclose significant financial interests. Each investigator must disclose to the College the nature of any reportable significant financial interests and the names of entities that would reasonably appear to be directly and significantly affected by the proposed research, educational, or service activities. The investigator is required to provide this information on behalf of his or her self, spouse/domestic partner, and dependent children and is required to update this information any time new significant financial interests are acquired during the period of an award and at least once per year. Their are salary, royalties, and other payments that when aggregated for the investigator, the investigator's spouse and dependent children exceeds $10,000 over a 12 month period. The Academic Grants office provides copies of the Financial Disclosure Form and Instructions. Each investigator must complete a separate form. If an investigator is hired after a grant project has started, he or she must complete the Financial Disclosure Form as a condition of hiring. The principal investigator or project director collects forms from all the participants and delivers them the Academic Grants office as a batch. The provost determines whether a potential conflict of interest exists. A potential conflict of interest exists. The Provost will refer all potential conflicts of interest to the College’s Ethics Officer and notify the Academic Grants Manager. The Provost or Academic Grants Manager will notify the principal investigator of any potential conflicts of interest. The College will set conditions to manage, reduce or eliminate potential or actual conflicts of interest. Conditions or restrictions may be imposed to manage, reduce, or eliminate actual or potential conflicts of interest. The Ethics Officer will work closely with the principal investigator or project director, the vice president of the College division seeking the grant, the Washington State Executive Ethics Board and the granting agency to develop a plan to manage or resolve conflicts of interest. The College Ethics Officer has ultimate responsibility for review of significant financial interest disclosures, determining that an actual conflict of interest exists, and what conditions or restriction, if any, should be imposed by the College to manage, reduce, or eliminate a conflict of interest. The Ethics Officer will notify the Provost and the Academic Grants Manager if a conflict of interest is managed or resolved to the Ethics Officer's satisfaction. The Academic Grants Manager must receive signed forms from the Provost and notification that any identified conflicts of interest have been resolved before grant funds are accepted or disbursed. If the College finds that it is unable to manage satisfactorily an actual or potential conflict of interest, the Academic Grants Manager will be responsible for informing the outside agency providing funds. Investigators may appeal College decisions regarding conflicts of interest. Investigators may appeal decisions of the Ethics Officer. In such cases, the appeal will be reviewed by the Washington State Executive Ethics Board and the Attorney General’s Office. Grant activities may be suspended while decisions are under appeal. If the College is unable to arrive at a satisfactory resolution of the conflict of interest, the Academic Grants Manager shall inform the granting agency. The College will withdraw applications for funding in all cases where an investigator, after the process of appeal, chooses to not comply with the resolution plan adopted in accordance with the policy and procedures and the project cannot otherwise be completed without the services of that investigator. The College may impose sanctions for failures to address conflicts of interest. An investigator who fails to comply with the Financial Disclosure for Federally-Funded Grant Projects shall be subject to disciplinary action as outlined in the appropriate collective bargaining agreement, state of Washington personnel rules, or College Human Resources procedures. In addition, any substantiated non-compliance with conflict of interest policies and procedures after a grant has been awarded may result in suspension or termination of the affected project. The College will maintain records. The College will maintain records about conflicts of interest in accordance with federal, state and College requirements. Federal and state laws supersede this policy. This policy is intended to address the requirements of federal and state law. In the event that subsequent changes in the law conflict with the policy as adopted herein, the requirements of law will supersede the policy.